Born to excite even the pickiest makeup lover, these foundation brushes are crafted to meet the latest demands in the beauty industry. Known for their world-class synthetic hairs, each bristle is sublimely soft, offering a smooth and easy application that’s downright addictive. 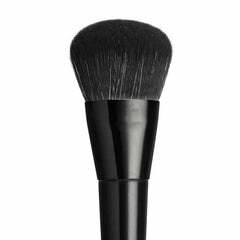 Use the buffer brush to seamlessly blend your contour lines and the fluffy couture brush for applying foundation over larger areas of the face. For the hard-to-reach spots, use the smaller precision brushes for spreading foundation into every teeny crevice.